The entire facility is closed for annual maintenance and cleaning for 1 week during the first week in August, with the pools closed for 2 weeks. At times during the winter, if road conditions are too dangerous for staff to travel on, the YMCA will announce any closings on WSON 86 AM Radio. If school is cancelled due to inclement weather, all morning classes will also be cancelled. Please check with the front desk at 3 p.m. to see if evening classes are cancelled, too. Additional cancellations will be made on a day to day basis. The YMCA offers this FREE child care service to Henderson YMCA Members only due to limited space. Children, as well as the parents/grandparents/brothers/sisters/aunts/uncles or legal guardians, who bring a family members child into the Yï¿½s babysitting service MUST all be Y members. ONLY the above immediate family members, age 18 & older, may bring family members child into the babysitting service. Other members who babysit other members children MAY NOT bring them to babysitting. Non-Member parents are not allowed to use child care. Parent or the immediate family member must be in the Y at all times. Hours may change depending on usage and time of year. Usage is limited to two hours. Diaper changing is not allowed by the babysitting staff or in the child care room due to sanitation and health reasons. Parents will be paged to change diapers or to take their child to the restroom if needed. Due to liability reasons no YMCA staff is allowed to take children to the restroom. 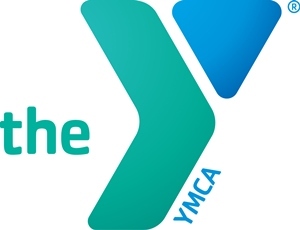 IF INCLEMENT WEATHER OCCURS, PLEASE CALL THE YMCA BEFORE COMING TO THE Y TO SEE IF BABYSITTING WILL BE OFFERED. To put Christian principles into practice through programs, services, and facilities that build healthy spirit, mind, and body for all.